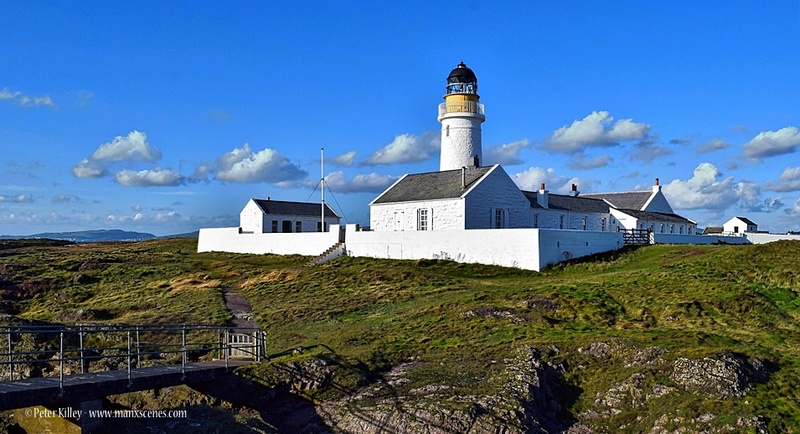 Langness lighthouse on Langness Peninsula was designed by Thomas Stevenson (Robert Louis Stevenson’s father) and first lit in 1880 and was finally automated in 1996 by the Northern Lighthouse Board. 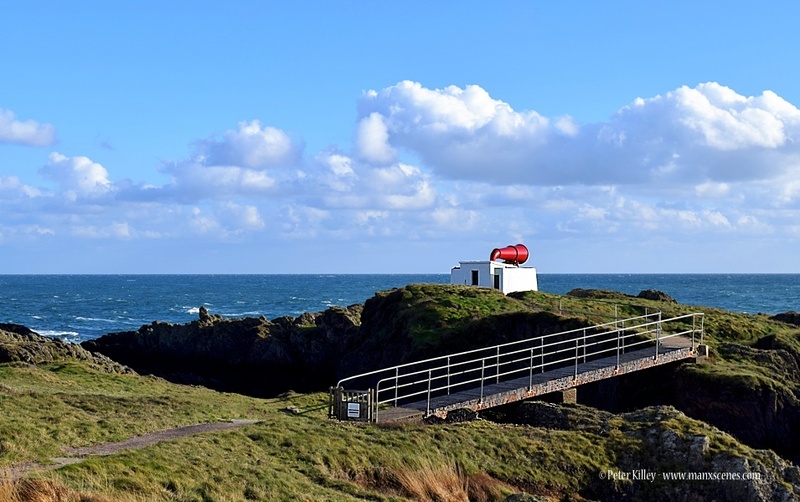 The foghorn that is situated right behind the lighthouse and that is adjacent to Dreswick Harbour. 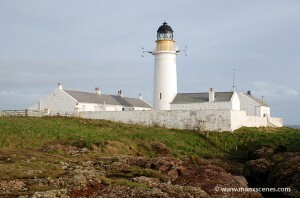 The footpath around the rear (or seaward side of the lighthouse) has recently been the subject of a Public inquiry on the Isle of Man which has ruled in favour of the ramblers. 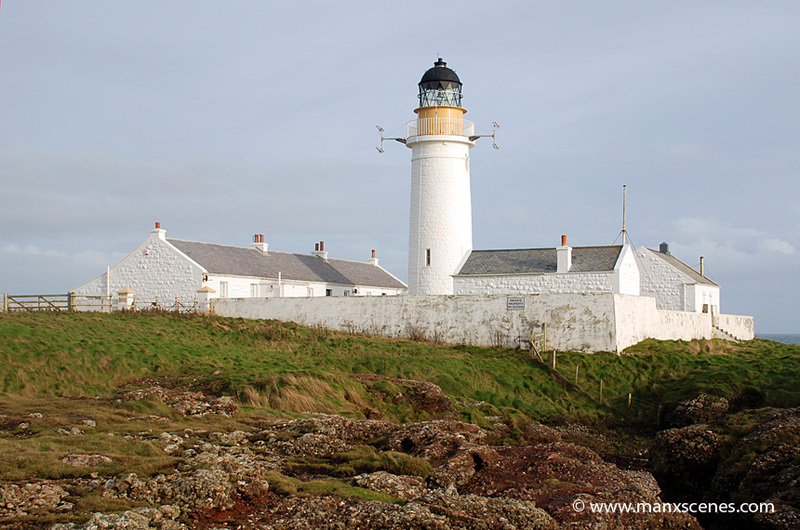 The cottages and lighthouse are now famous for being owned by Top Gear presenter Jeremy Clarkson and his wife. The images was captured on my Nikon D80 SLR with a Nikon 18-135 F3.5/5.6 G AFS DX lens at 30mm and cropped in Adobe Photoshop CS5.